Boris considers Congestion Charge change | What Car? 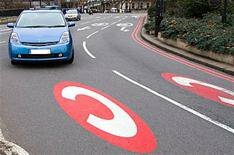 London Mayor Boris Johnson is considering changes to the Congestion Charge, allowing motorists to pay different rates depending on the time of day, according to The Times. Drivers would pay a higher tariff during peak periods, but a reduced fee in quieter off-peak times. The proposals are similar to a scheme currently used in Sweden's capital, Stockholm. The Times newspaper reports a source as saying: 'We need to make the charge more sophisticated and more sensitive to the needs of motorists.' The changes are expected 'within a matter of months'. No details of the cost or time-zones being considered have been revealed. The current system requires motorists to pay a flat rate of 8 a day, between 7am and 6pm. There is no charge at weekends.